GET STARTED ON YOUR OWN UNIQUE PIECE BY CALLING 719-246-0989, OR CLICK THE BUTTON BELOW TO CONTACT US. WE CAN ANSWER ANY QUESTIONS YOU May HAVE. At Twenty1Five every piece of furniture is made to order, no two pieces are alike. We pride ourselves in handcrafted, one of a kind designs that will last a lifetime. We only use truly reclaimed wood material, giving each piece it's own story. 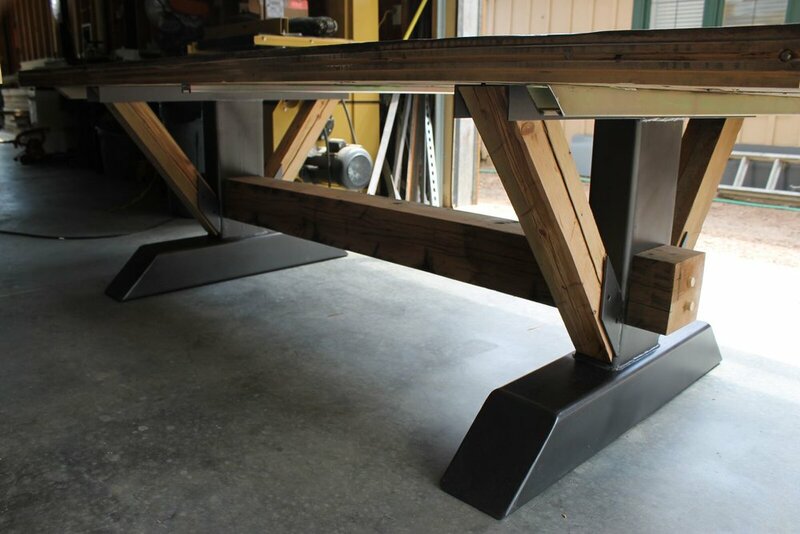 We build all types of furniture including barn doors, coffee tables, mantles, kitchen counters, desks, reclaimed accent walls, and of course dining tables. Contact us today by calling 719-246-0989, or simply click the button below to discuss your project. 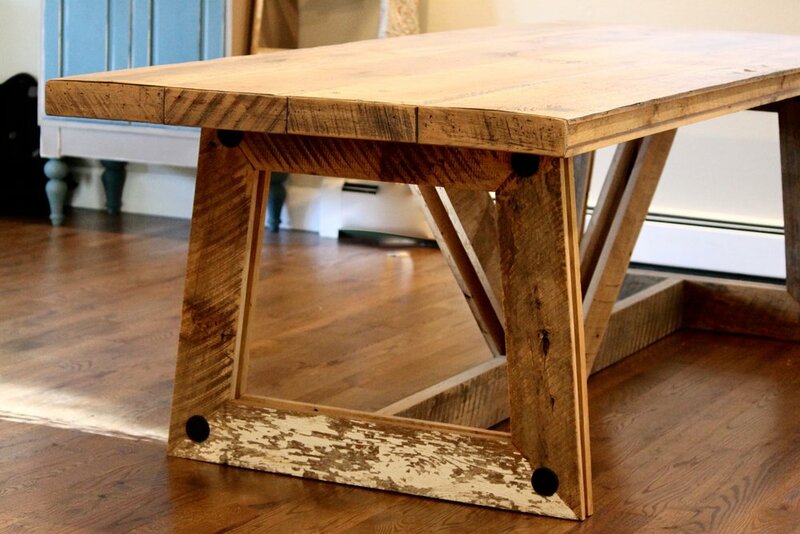 The Twenty1Five reclaimed wood farmhouse style table is our most popular dining table. Inquire by March 31st for 15% off total your order, and Free local delivery. Our signature reclaimed dining table is another client favorite. It's mozaic design brings old wood to a new artistic life. DIDN'T FIND WHAT YOu're LOOKING FOR??? If you were thinking of something else, let us work with you to create the table you're looking for. Simply click the button below out , provide a little bit of information and we will reach out to you to discuss your idea. We will tell you more about our process, and then you can decide how you would like to proceed.